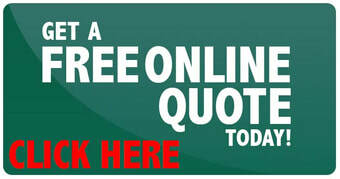 Click here and get your free online quote in minutes. 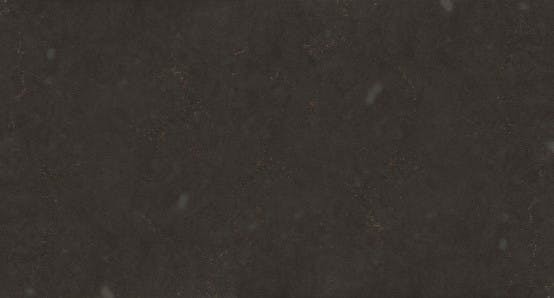 Granite Scotland supply and fit quality granite kitchen worktops, quartz kitchen worktops and silestone kitchen worktops throughout Scotland including, glasgow, edinburgh, perth, dundee, aberdeen, inverness, paisley, livingston, east kilbride, motherwell, hamilton, loch lomond, clydebank, luss, castle douglas, dumfries, ecclefechan, gretna, lockerbie, bowness, carlisle, canonbie, teviothead, jedburgh, coldstream, kelso, berwick, berwick upon tweed, duns, eyemouth, dunbar, east linton, haddington, trenent, prestonpans, mussleburgh, dalkeith, bonnyrigg, gorebridge, penicuik heriot, carfaemill, gifford. peebles, ettrickbridge, biggar, symington, lanark, carluke, tarbrax, lesmahagow, douglas, portpatrick, stranraer, cairnryan, cairn, dunragit, new lace, balminnoch,eldrick, glenwhilly newton stuart, craigencallie, balmaclellan, galloway, pinmore, girvin, irvine, ayr, prestwick, craigmalloch, dalmellington, turberry, maidens, dunure, maybole, alloway, cummnock, mauchline, monkton, troon, kilmarnock, drumclog, ardrossan, kilwinning, galston, darvel, stewarton, selkirk,galashields, melrose, gordon,west kilbride hunterston, largs, kilbirnie, beith, lochwinnoch, strathaven, barrhead, newton mearns,giffnock eaglesham, hamilton, wishaw, newmains, shotts, whitburn, livingstone, west calder, broxburn, bathgate, blackridge, coatbridge, skelmorlie, weymss bay, inverkip, greenock, port glasgow, kilmacolm, bridge of weir, johnstone, paisley, clydebank, renfrew, bearsden, bishopbriggs, kirkintilloch, lennoxtown kilsyth,cumbernauld, falkirk, linlithgow, ingliston, balerno, ratho, bo'ness, queenferry, dalgety bay, rosyth, dunfermline, kirkcaldy, burntisland, croof of devon, kinross, ballingry, glenrothes, alloa, stirling, bridge of allan, dunblane, tillicoultry, alva, dollar, dumbarton, balloch, helenburgh, luss, drymen, killearn, balmaha, balfron, fintry, aberfoyle, arrochar, callander, trossachs, millport, dunoon, blackford, crieff perth, almondbank, scone, bankfoot, bridge of earn, auchterarder, couper angus, auchtermuchty cupar, st andrews, tayport, dundee, monifieth, tealing, carnoustie,letham glamis, arbroath, forfar, kirriemuir, tannadice farnell, montrose brechin, stracathro, laurencekirk, fettercairn, edzell, glenbervie, tarfside, stonehaven, banchory, peterculter, portlethen, durris, cove bay, inchmarlo, aboyne, dinnet, deecastle, tarland, alford, oyne, kintore,inverurie, westhill, dyce, bridge of don, aberdeen, newmacher, oldmeldrum, kemnay, pitmedden, newburgh, collieston,ellon, tarves, methlick fyvie,whinnyford, cruden bay, ardallie, longhaven, stuartfield, boddam, peterhead, new deer, mintlaw fraserburgh, turriff, banff, huntly, keith, backburn, bridgend, lumsden, dufftown, fochabers, elgin,rothes,craigellachie, buchie, north of scotland, the borders, west scotland, east scotland, lowlands, nairn balmore, ferness, inverness, kessock, fortrose, munlochy, dingwall, strathpeffer, beauly, evanton, invergordon, garve,dores, drumnadrochit, aberarder, moy foyers, fort augustus, loch ness, invergarry kilfinnan, gairlochy spean bridge, fort william, clencoe, lochgoilhead, tyndrum, crainlarich, bridge of don.